If you’re asking yourself “Can I sell my house as is?” the good news is, yes you can. Whether you’ve bought a property with the intention of flipping for a profit, but your circumstances have changed, or you simply don’t have the time, funds or inclination to improve your property to make it more attractive, there are companies out there who will buy your property in whatever condition it’s currently in. Obviously, you won’t get full market value for the place, but if you choose the company wisely, you’ll get a fair price for your property. If you do have a little time to spare, simply improving property’s exterior appeal could really help it to sell fast. You see, the outside of your home is the first thing potential buyers will see and if it looks unkempt and in need of maintenance, many buyers won’t even bother to come inside and take a look. Improving curb appeal can be as simple as power washing the walls, doing a little painting or tidying the garden up, so it can be done quickly on a budget, and it will get you results. Writing a really good real estate listing will, at the very least, get more people through the door, where hopefully they will be convinced to buy your property. 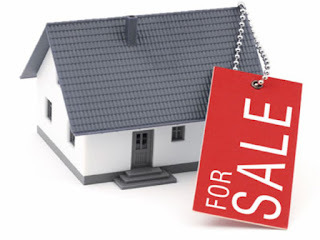 You can find out how to do this by taking a look at https://www.rubyhome.com/home-selling/how-to-write-effective-real-estate-ads/.. Having a good realtor help you with this will also help. If the property you’re selling happens to be your home, getting rid of all your personal artefacts, so that the property looks like more of a blank canvas can be very effective at persuading interested parties to buy, because they are more easily able to see the potential of the space and work out how they can put their own stamp on it. If you really do want your property to sell as fast as humanly possible, it never hurts to price it competitively in relation to other similar properties in the neighborhood. Even pricing it just 5 percent lower than other properties will make it look more attractive in the eyes of buyers, which could be enough for your realtor to close the sale. Selling a property quickly isn’t always easy, but with the above tips, a good realtor and a` steely determination, it is far from an impossible task.